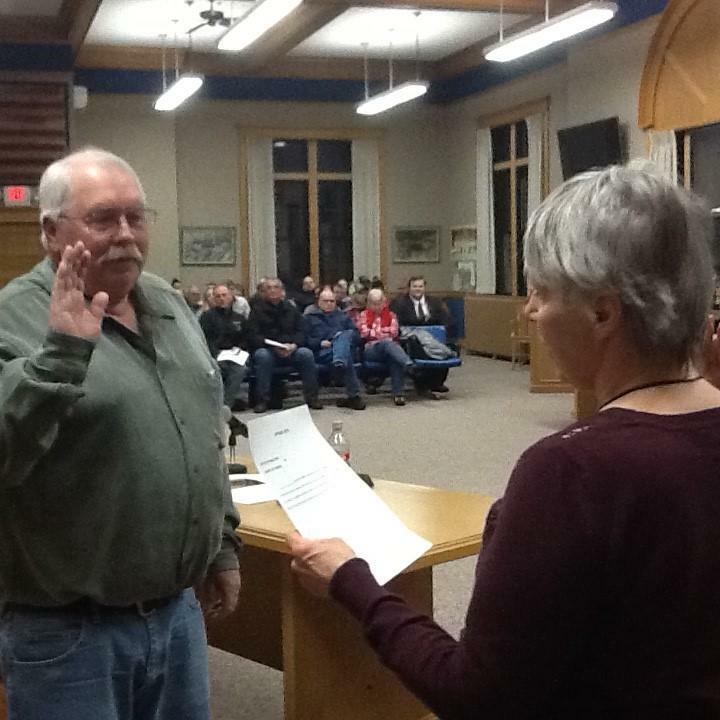 Lee Emmer sworn into office by Rhinelander City Clerk Val Foley. Rhinelander alderperson Dawn Rog Monday night made a passionate plea for all members of the common council take a sharp look at the month's bills and invoices. A motion to review one month's invoices were set aside until next meeting. Rog said the office furniture line item was far overbudget, but city Finance Director Wendi Bixby said while the individual line item was overbudget, the city overall was still within the legally adopted budget. "I think it is time the city council pay attention to the checks being written and the bills being paid, and not just scribble your name on a piece of paper. You need to take the time. If we're not going to have a Finance committee that meets once a month, and we're going to be the Finance committee as a council of the whole, here's your chance. This is your chance. Lets start at the beginning of the year and take spending taxpayer's money seriously..."
After more than a week of controversy, two Rhinelander government leaders have publicly ended a dispute involving expenditures by City Administrator Daniel Guild. George Kirby walked out of a meeting last week, feeling the expenditures made by Guild for office equipment were not fully discussed. At a press conference, Guild and Council President Kirby faced questions about the disagreement. A Rhinelander City Council member says he left a meeting Monday night because he was denied having consideration of bills regarding the remodeling of the City Administrator's office to be placed in the discussion portion of the agenda. Council President George Kirby Monday said he didn't want to be seated that night because he didn't get the nearly $13,000 in expenditures item up for discussion, but rather inside the consent agenda. The consent agenda is approved in one mass vote rather than voting individually on each item. Guild cited the city's Economic Development committee which has been inactive. Guild says the state allows for a redevelopment authority or a community development authority.